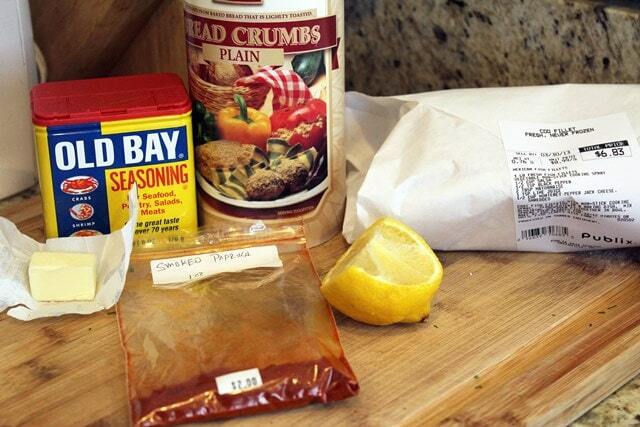 You did think that I made this here tartar sauce just for…..fun….did you? No. I did not. I made it to go with fish! This fish is 1. good, 2. easy, and 3. good for you, until it’s drenched in tartar sauce, and then we’re back to 1.
Who cares, though? All fish is healthy. The end. 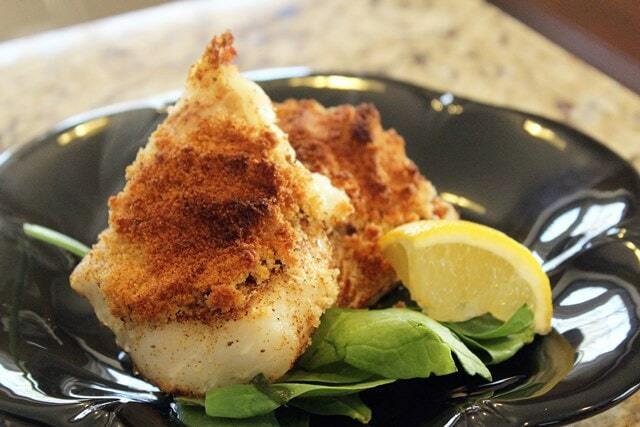 The idea for this was to have a fried fish FLAVOR without dealing with batter, crust, oil, or any of the REALLY unhealthy parts of fish frying, delicious as they may be. Any firm white fish that’s 1 inch or more thick will do just fine for this – I used cod, which is so buttery and sweet and delicious (and was on sale, which is the most important), but halibut or sea bass if you’re annoyingly wealthy would work great too! 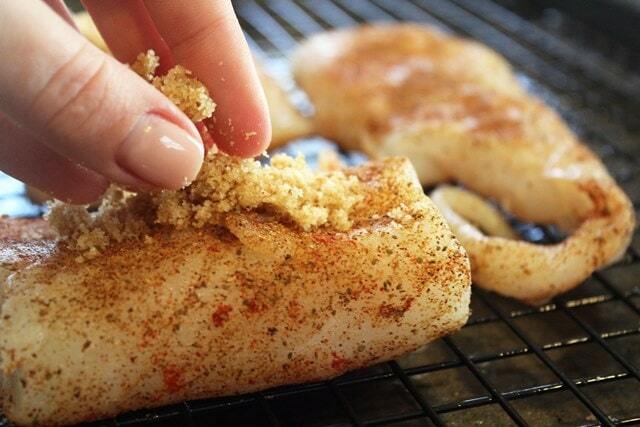 I like to cut my fish into 2 – 3 inch chunks, but larger pieces would be very pretty too! 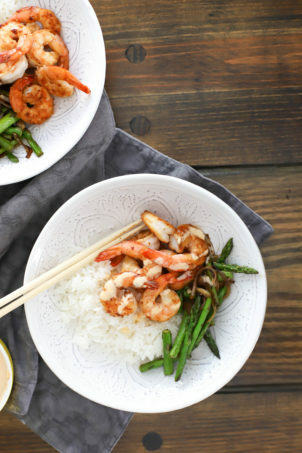 The main point is that this is easy and delicious. 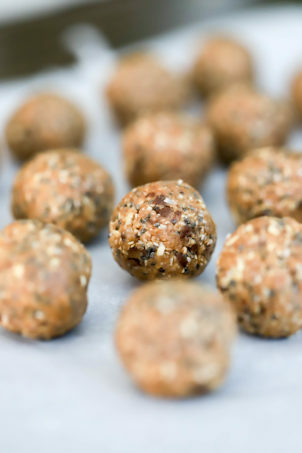 You need fish – 1/3 lb per person or so. You also need butter, bread crumbs, and seafood seasoning. I used smoked paprika too, which was GREAT, but if you don’t have that just leave it out. Don’t freak out about it! Lemon wedges for serving are a nice touch, too. So first, preheat the oven to 400F. 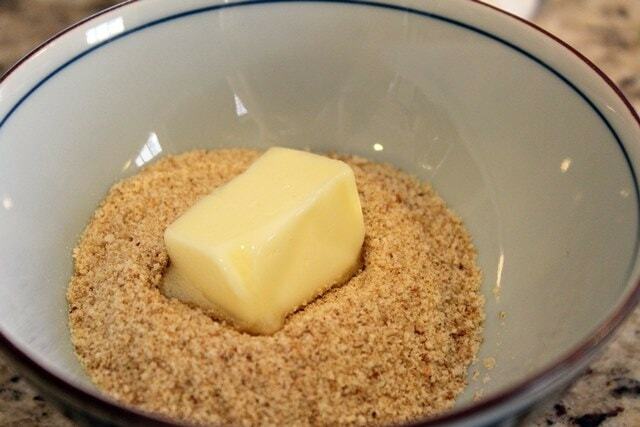 Then, combine the bread crumbs and the butter – 2x breadcrumbs compared to butter quantity. If the butter isn’t soft, microwave it for 10 seconds or so. Then, mash the breadcrumbs and butter together with a fork. I could eat just this but…I didn’t. Now, onto the fish! 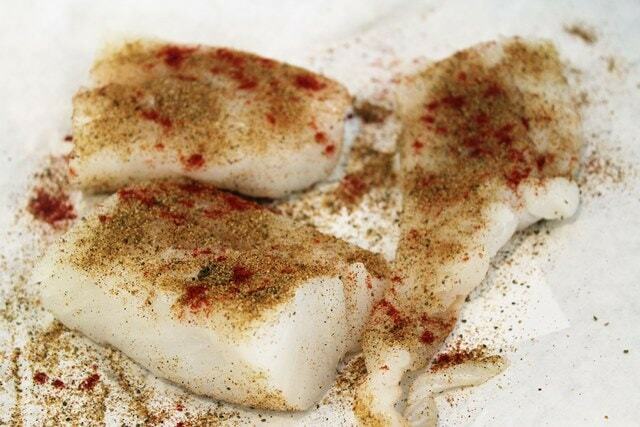 Sprinkle both sides lightly with the seafood seasoning blend and smoked paprika. Then, arrange a baking rack inside of a baking sheet or grab a broiler pan. We use this cooking method because the rack allows the heat to circulate on both sides of the fish as it cooks which makes it cook faster, more evenly, and not get soggy on the bottom. BOOM. Place the fish on the rack, then gently mash some of the breadcrumb mixture in a thick layer on top of each piece of fish. Lovely! 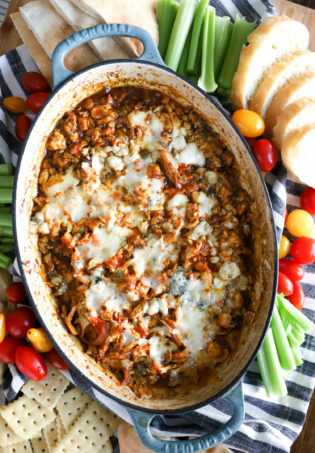 You could do this all ahead of time and set it in the fridge, then just bake it when you’d like to eat. Bake the fish for 12 – 17 minutes (depending on the thickness of your fish) until it’s cooked through and flaky but not browned at the edges. YUM! That’s it guys. 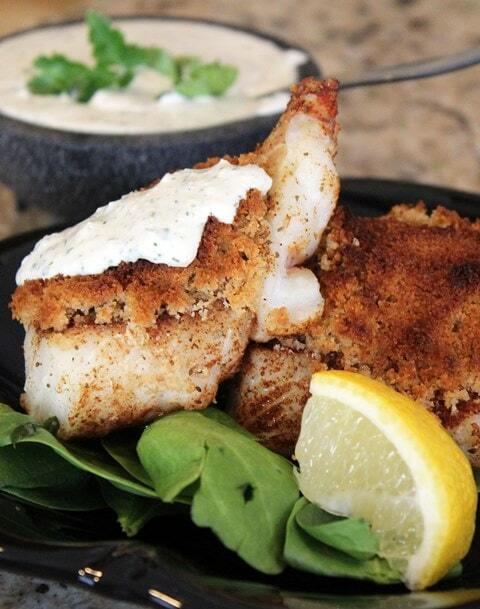 This is REALLY simple and fast, and goes great with the creamy tartar sauce. Click here to see that recipe. Also, if you’re a spicy person, grab some Texas Pete or other hot sauce – the tang with the buttery crust and the creamy tartar sauce are a GREAT combination. 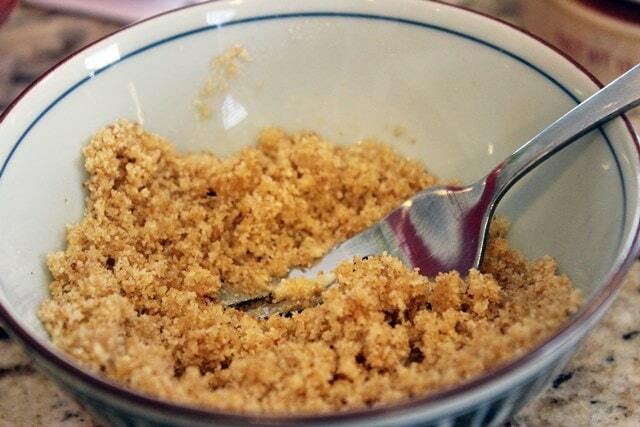 Mash the bread crumbs and butter together using a fork. 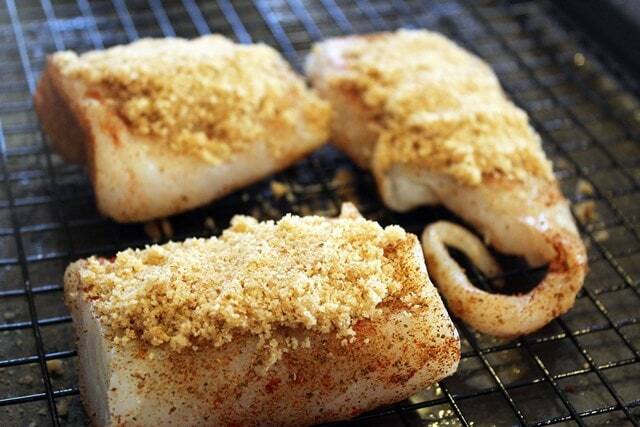 Sprinkle the fish on both sides with the seafood seasoning the the smoked paprika, then place the fish on a broiler pan or a wire cooling rack fitted inside a baking sheet. 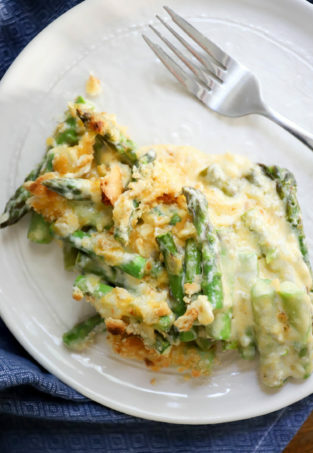 Top each piece with some bread crumb mixture, mashing it with your fingers to form a light crust. 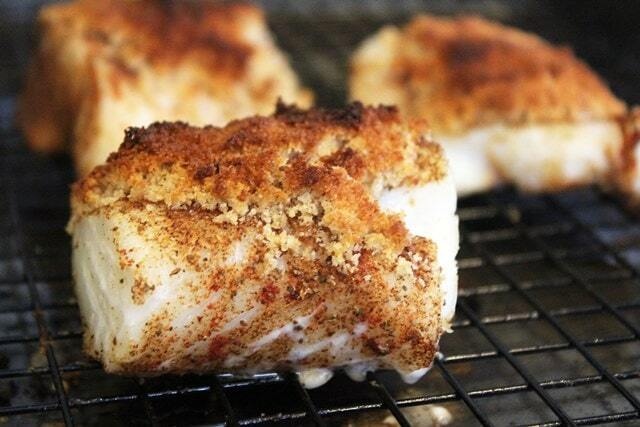 Bake the fish for 12 - 15 minutes until cooked through but not overdone. 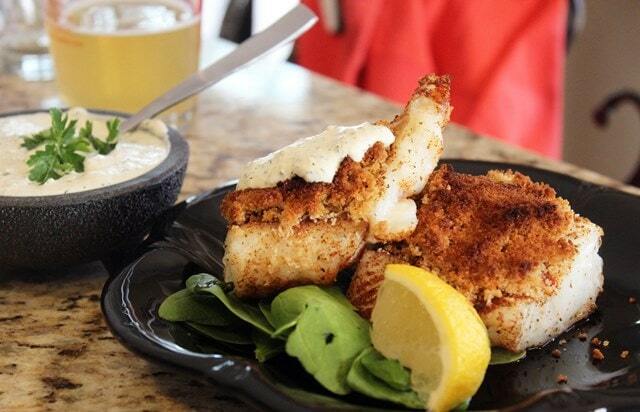 Serve the fish hot with toppings of your choice. 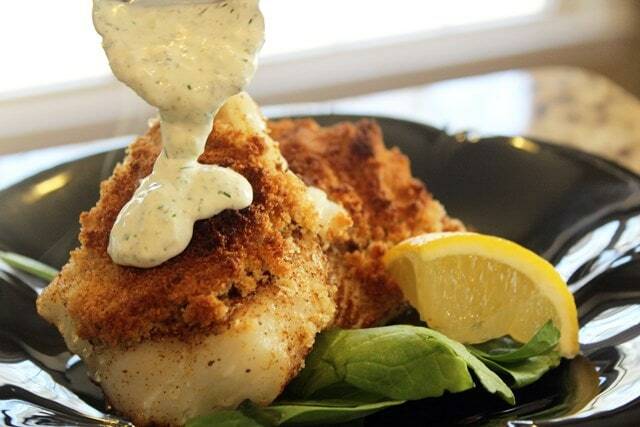 This looks like a winning dinner, especially with your homemade tartar sauce! I crave this kind of meal in warm weather! This looks DELICIOUS! Thanks for sharing at Weekend Potluck!!!! !